If you love herbs and have ever thought about starting your own home herb garden but believed it would be too much of a hassle or that you’re more of a brown thumb than a green one, you’re not alone. Let me just say from personal experience that the biggest obstacle to starting a herb garden is the “starting” part. Once you get started you’ll soon find out just how easy and gratifying it can be to grow your own herbs how beneficial it is to do so. The first benefit you’ll experience is the stress relief it offers as well as a sense of accomplishment. Think how rejuvenating the sight and scent of your very own herb garden can be. Benefit number two is that you get to eat what you grow and supplementing your diet with fresh herbs is not only healthy but very tasty. Adding herbs to your dishes will make simple foods burst with flavor. For example, add chopped rosemary to roasted chicken, sage on potatoes, or tarragon to eggs and you’ll immediately know that adding herbs is a very satisfying thing to do, and the combination’s are limitless. You might even become your family and friends favorite chef. Another great benefit is that you’ll save money. If you’ve ever bought herbs at your local market, then you know just how expensive they can be, and for what really? After the initial investment of starting your own home herb garden, you’ll have them readily available whenever you want them and for a fraction of the cost of buying them at the store. Benefit number four is choice and quantity. When you grow your own herb garden, you can pick the herbs that you like best and will use most and grow as much as you want. If you want to experiment with other herbs, you can do so in smaller quantities until you decide if they’re right for you. 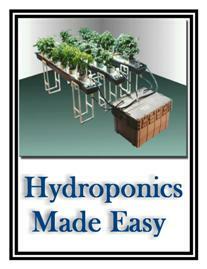 You also get to choose what type of herb garden you want, whether it be an indoor or outdoor garden. Benefit number five is what you don’t or can’t use you can share with your family, friends and neighbors. It’s always nice to give and receive gifts. Or you might decide to dry your herbs for future use. So you see starting and having your own home herb garden is beneficial in many ways, not to mention easy and fun – I guess that’s another benefit in itself. The sooner you get started the sooner you can enjoy these benefits yourself.